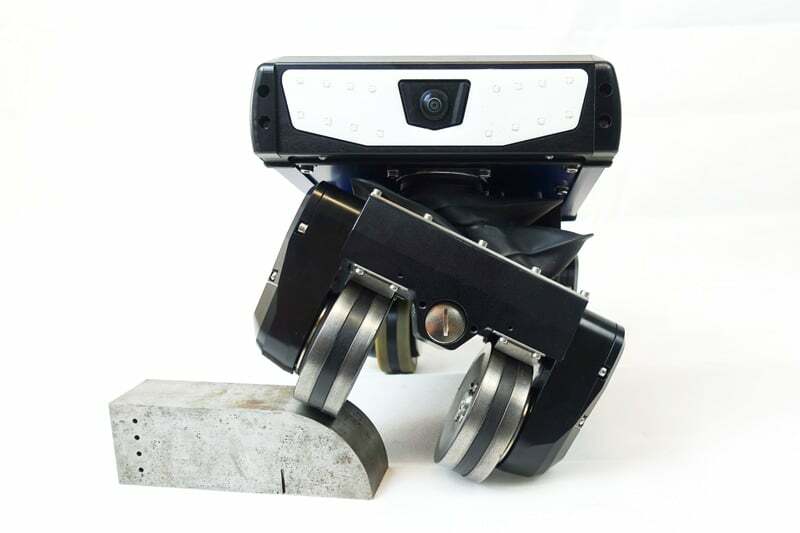 Mobile inspection and maintenance robotics is a fast growing industrial market. 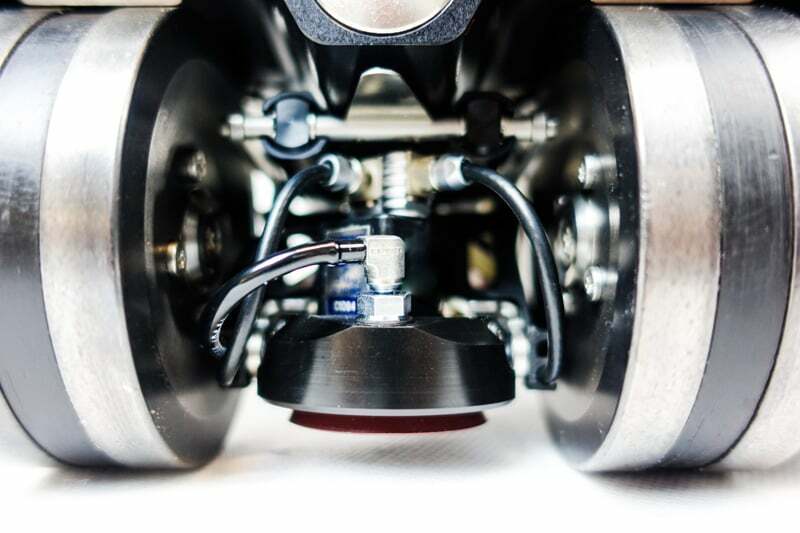 One of the main advantages of mobile robots is that they can reach locations inaccessible by humans because of size constraints, temperature, immersion in liquids or safety reasons. 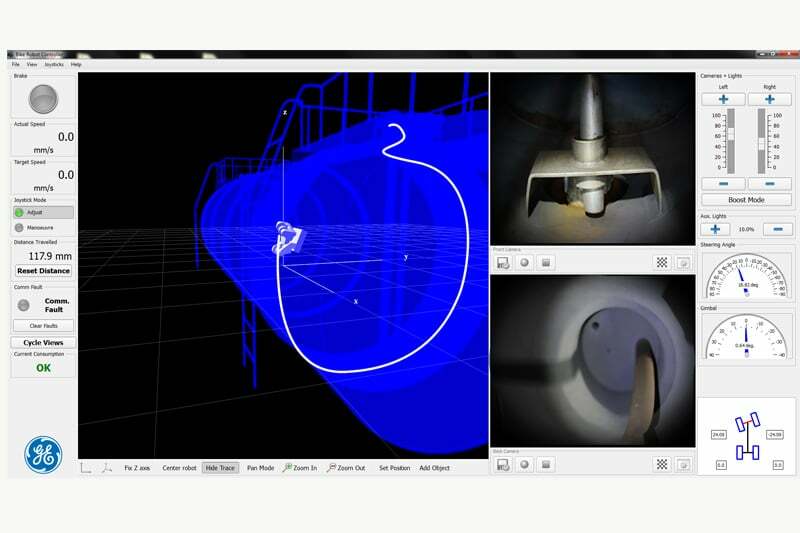 Certified and experienced engineers today enter and “look” at the predefined locations to take pictures for reporting. Beside very expensive organizational issues such as watchmen and ventilation this procedure is very dangerous for the experts. In this framework, the BIKE inspection robot has been developed. The BIKE platform is a magnetic wheeled robot capable of inspecting power plant facilities and multiple applications in the oil&gas industry, such as vessel or pipe inspection. • The BIKE platform is a lightweight (10kg) ultramobile robotic platform. • Fully remote controlled and equipped with navigation aids (front & rear view cameras and 3D pose view. To climb obstacles (e.g. 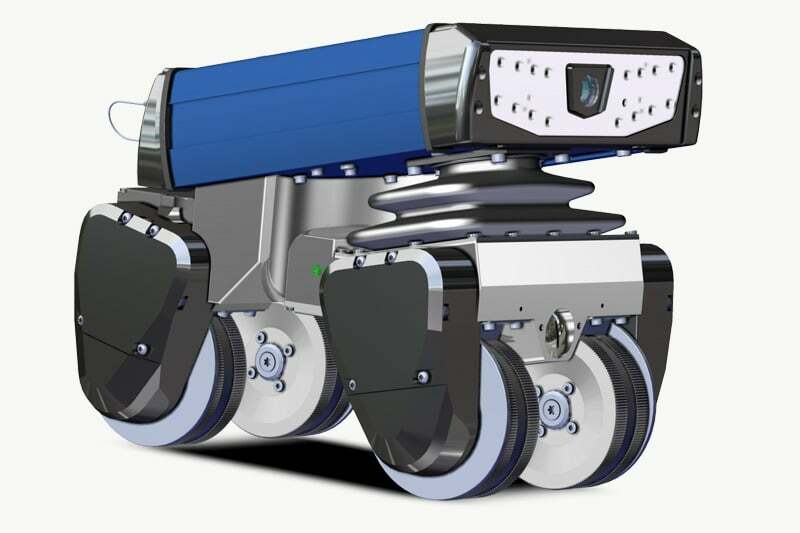 stairs) Inspection Robotics introduced the innovative locomotion concept with climbing and obstacle passing capabilities. It consists of four magnetic wheels aligned in 2 rows which allows the robot to pass convex and concave 90 degree corners. The BIKE platform can be used for all visual inspections on ferromagnetic steel structures. 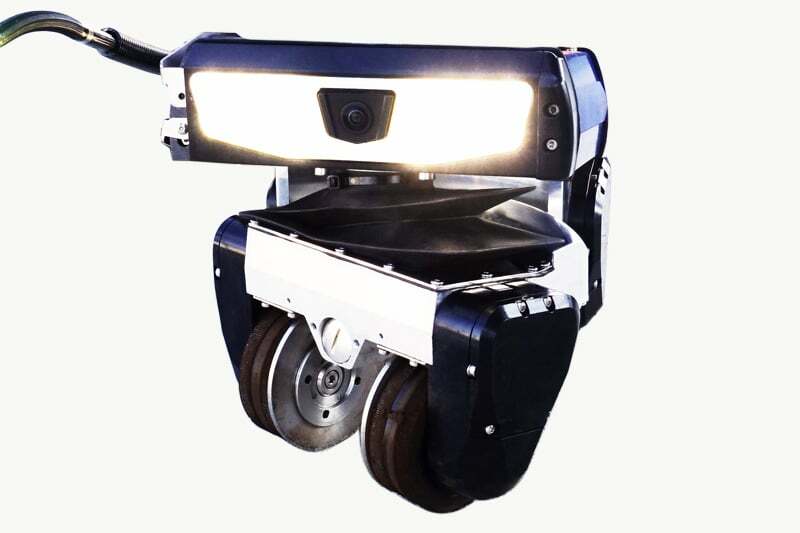 Contact us to find out more about the BIKE Platform or any of our other robotic crawlers and tractors, or click to view our full pipe inspection camera range. 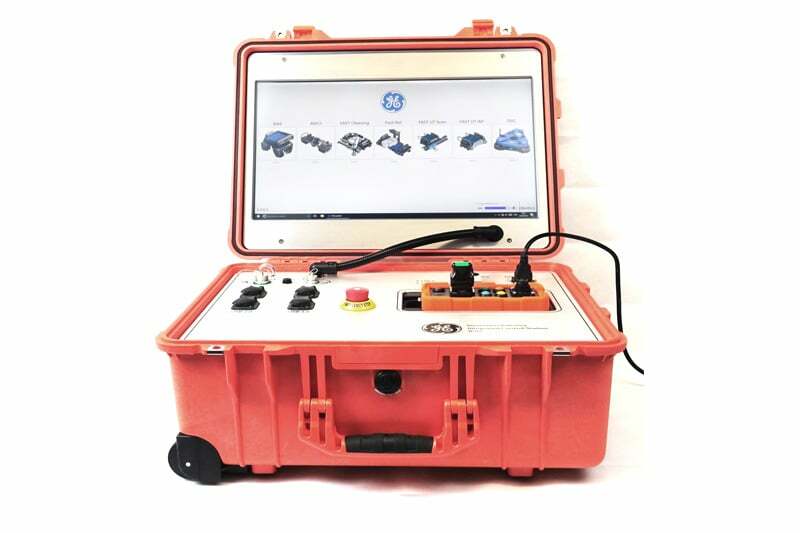 High-end video endoscope for Remote Visual Inspection (RVI).